Lying on the southern bank of the River Tees, Middlesbrough is a large industrial town in North Yorkshire. With a population of approximately 175,000, there’s a good range of attractively priced property in the area, particularly considering the value that can be found with detached family homes. At My Home Move Conveyancing we have been developing our knowledge and expertise of the property market in Middlesbrough since 2002, allowing us to bring our clients in the area an outstanding specialist fixed fee conveyancing service. You’ll require the services of a lawyer if you are looking to buy or sell property in Middlesbrough in order to complete the legal work on your behalf. 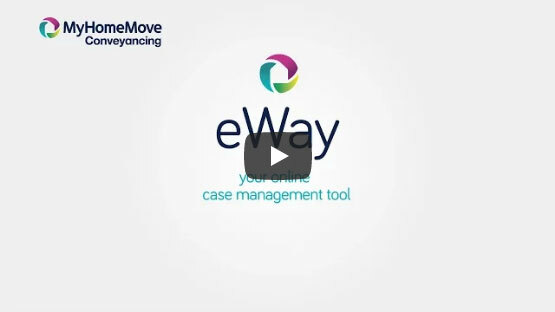 Select My Home Move Conveyancing to be your Middlesbrough conveyancers and take advantage of our award winning customer service, innovative use of technology and knowledge of the local market. We offer a fixed fee conveyancing service with no hidden extra costs so you know exactly what you’re going to pay from the outset. If you don’t end up moving for some reason, you won’t have to pay us a thing. We assign a dedicated conveyancer to each of our clients, providing you with access to their expertise and a consistent point of contact, who will regularly update you on the progress of your case. At My Home Move Conveyancing we supply our conveyancing services in Middlesbrough to customers across the local area, from central spots in the town centre to neighbourhoods such as Linthorpe and Berwick Hills, and locations further out like Tollesby. The average house price in Middlesbrough is £109,943. During the past 12 months semi-detached properties were involved in the most sales, going for an average of £125,749. Terraces went for £73,778, detached properties for £228,998, and flats for £74,459. Found in England’s North East, Middlesbrough was just a small farm a couple of hundred years ago. There was an explosion of growth in the latter part of the 19th century though, thanks to the area’s prowess in the coal, iron and steel industries. Middlesbrough also had a strong presence in the chemical industry, while the modern town has plenty of landmarks, cultural draws and modern amenities to please its residents. It’s also close to the North York Moors National Park. There are a number of excellent schools in the area for families with children to choose between, including St Edward’s, Whale Hill, Lingfield and Pallister Park at primary level. The King’s Academy, Macmillan Academy and Beverley School are among the secondary options, while higher education facilities are provided by Teesside University, which has a population of over 20,000 students. Middlesbrough is well connected within the North East, offering rail services to cities such as Leeds, York, Liverpool and Manchester. A train to Sunderland takes just under an hour, while it’s a touch longer to Newcastle. The A66 road heads west to the A1 (M), connecting Middlesbrough to the national motorway network. All properties in Middlesborough will fall within one of the following council tax bands.